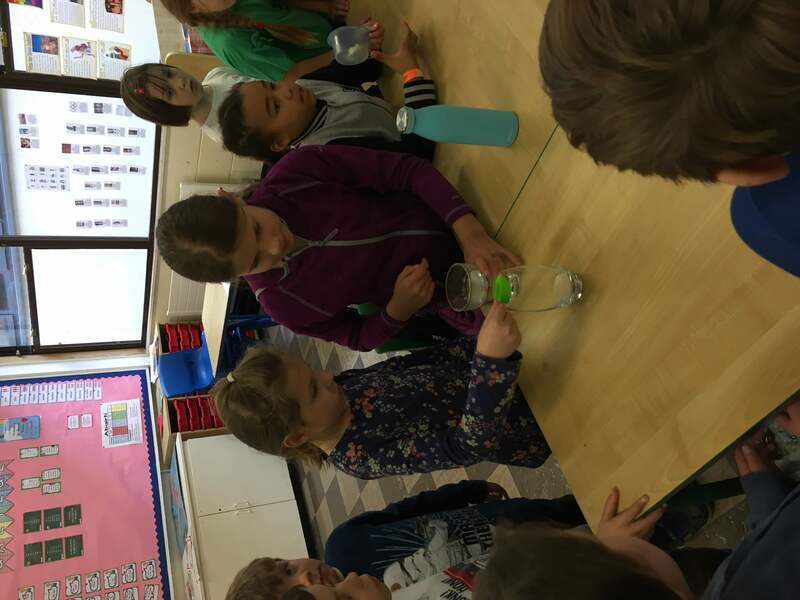 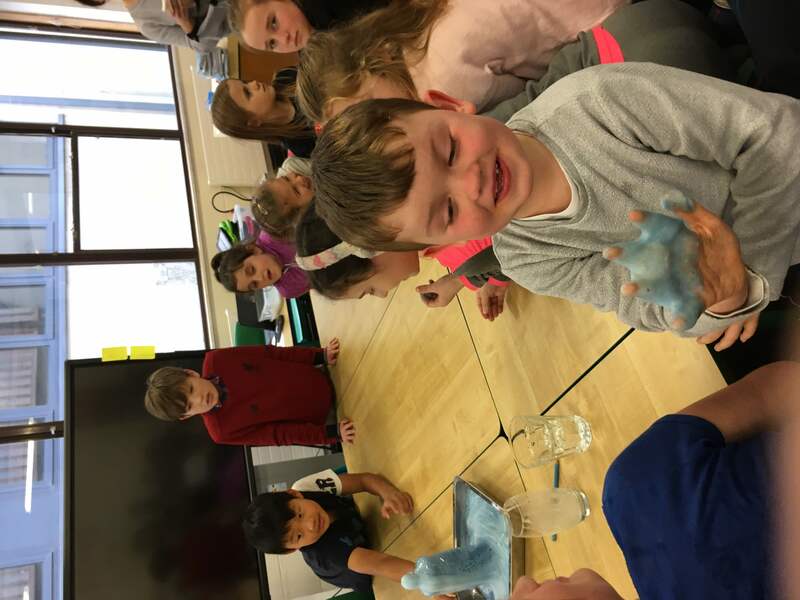 First Class had a busy day today learning lots about Science. 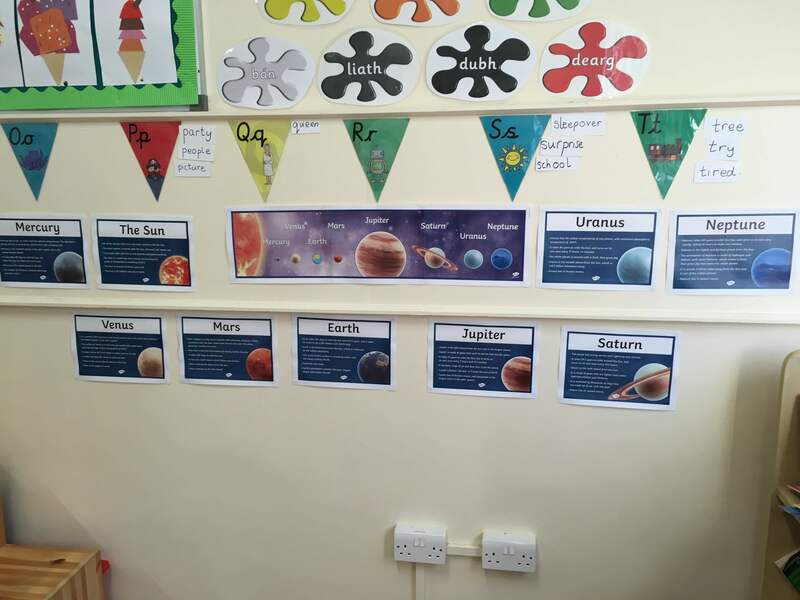 First we learned some interesting facts about the solar system. 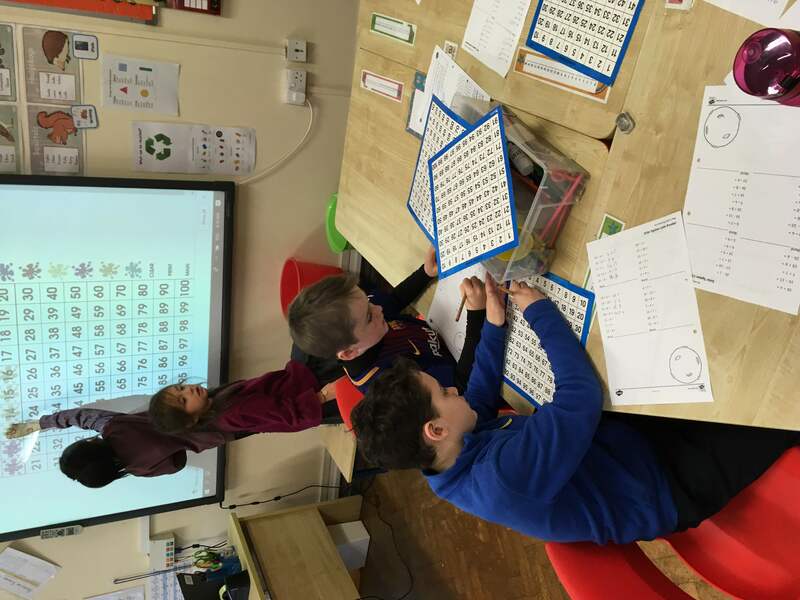 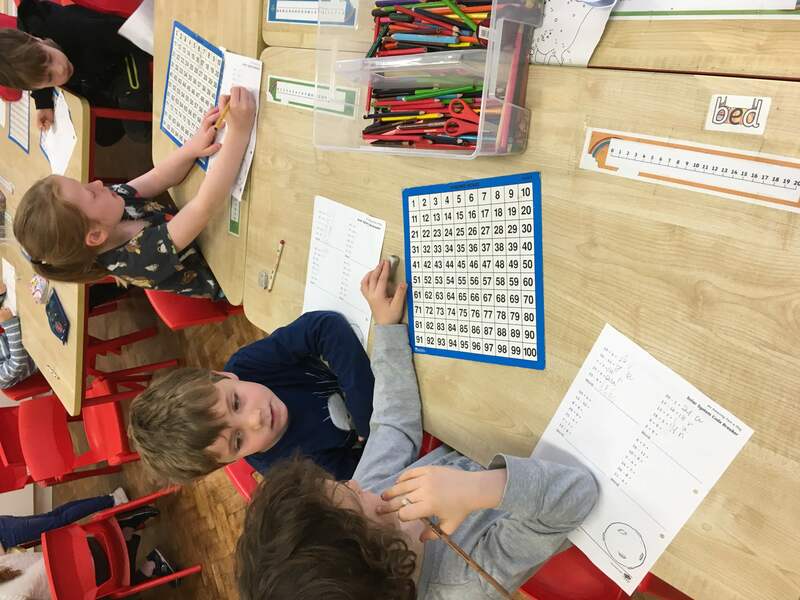 We then work on some space themed problem solving in Maths class. 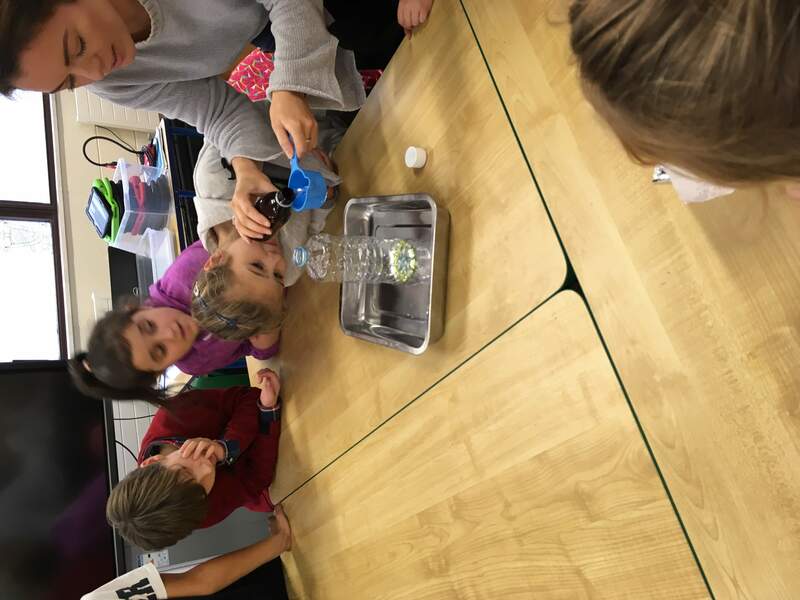 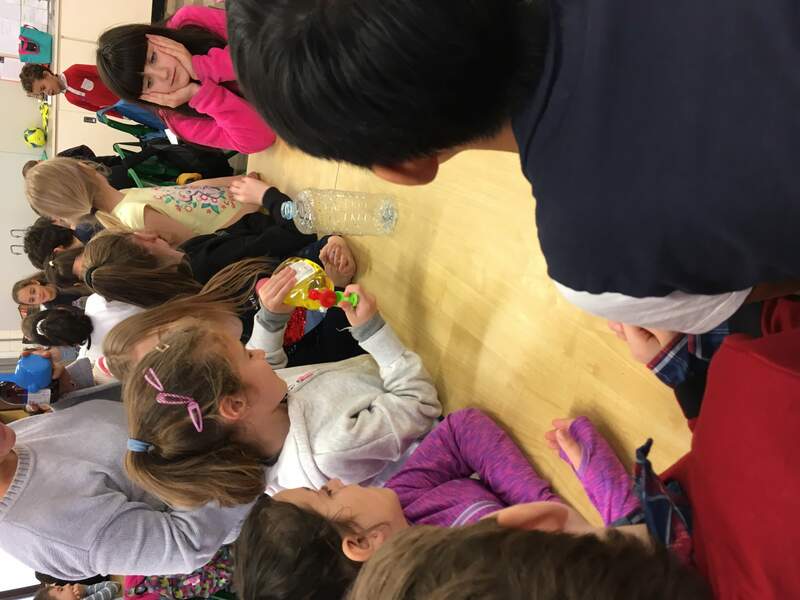 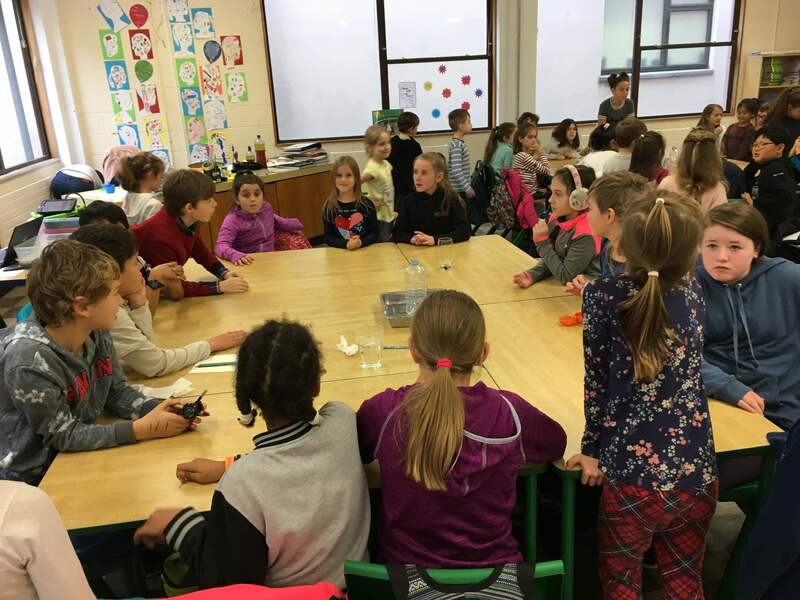 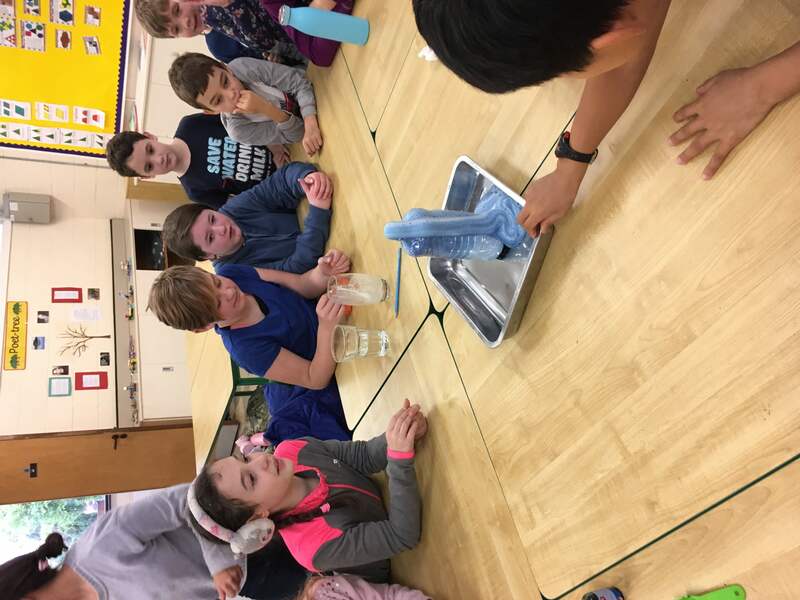 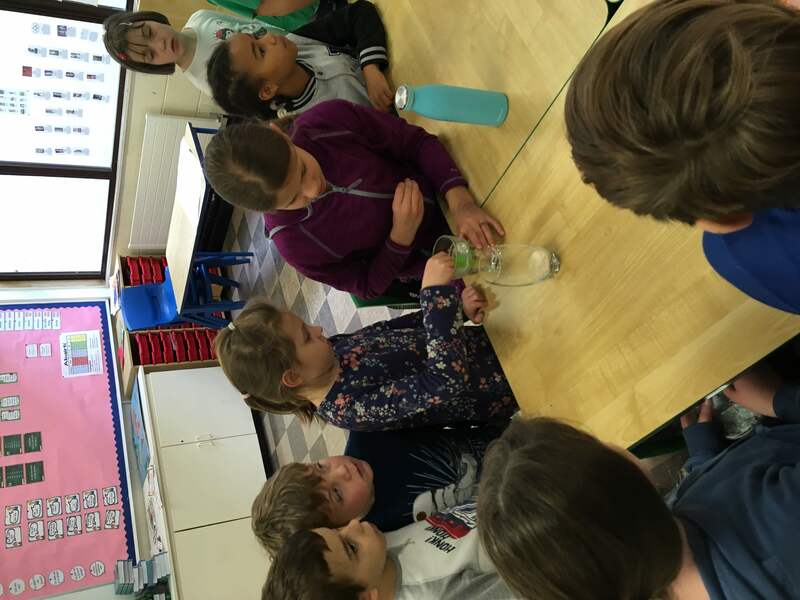 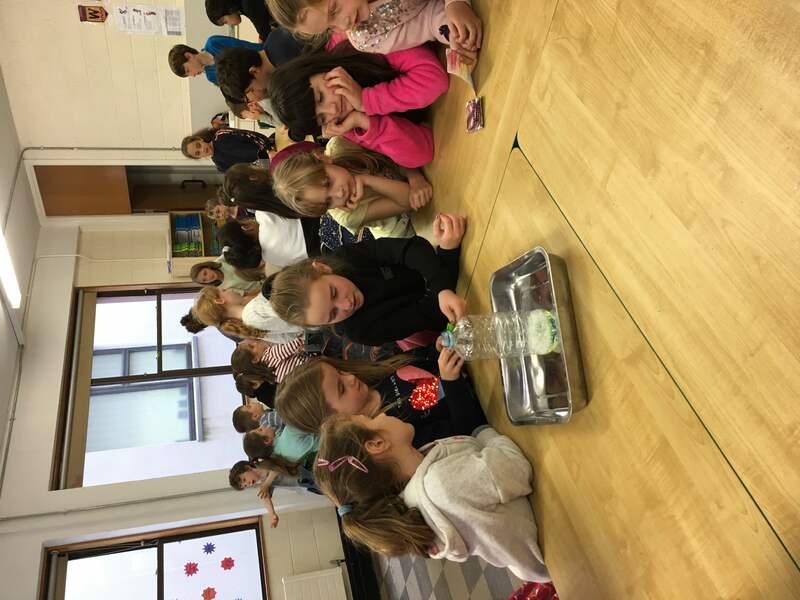 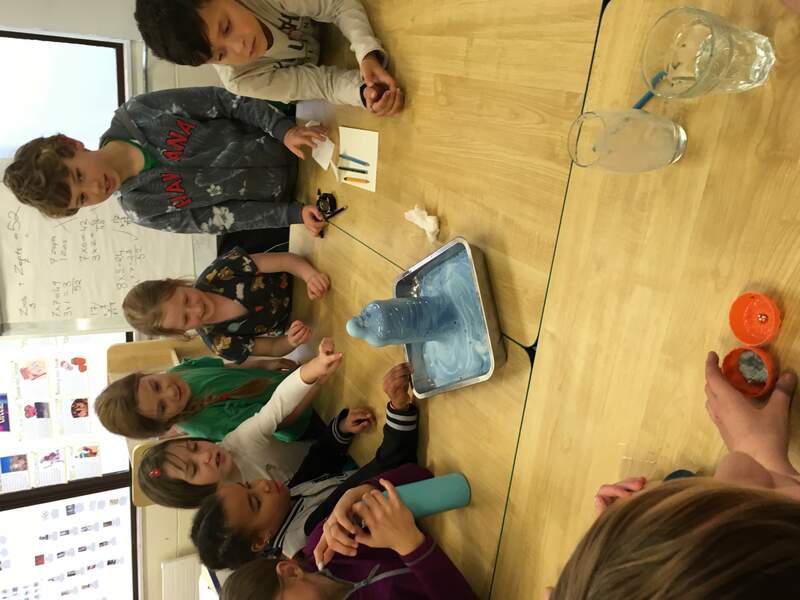 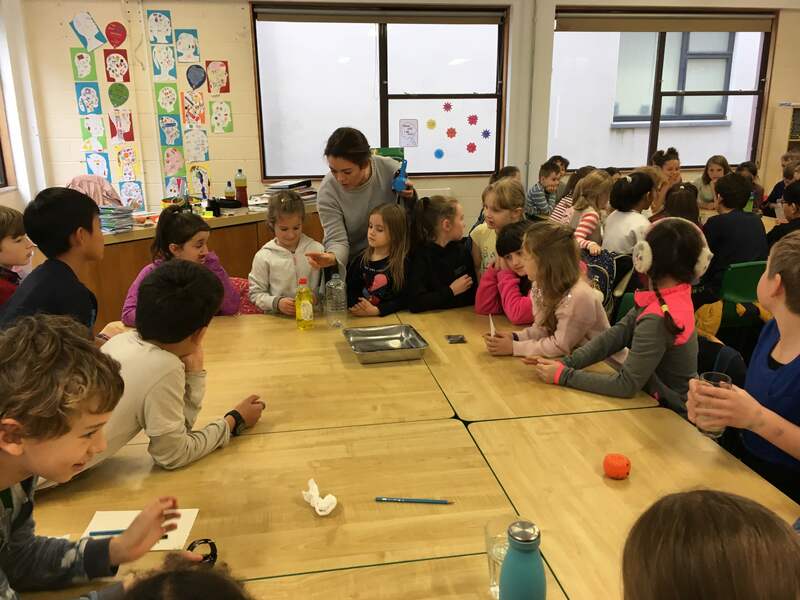 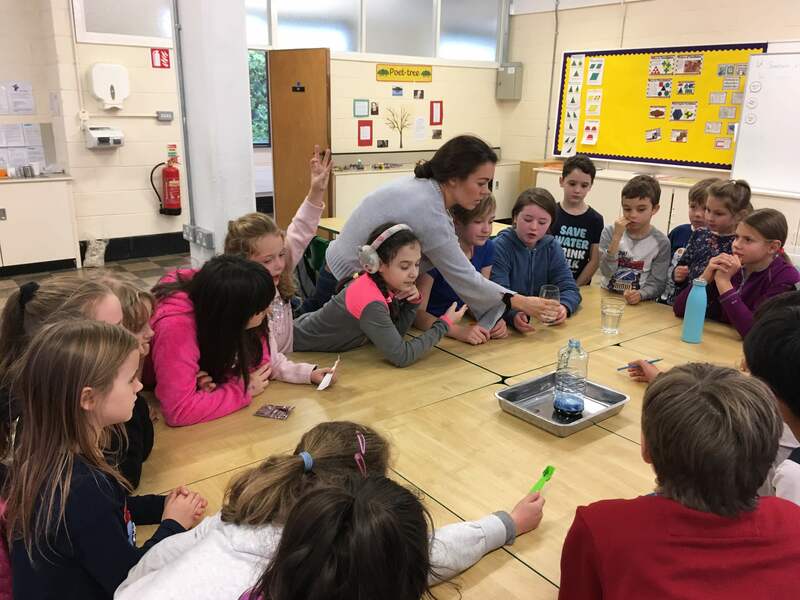 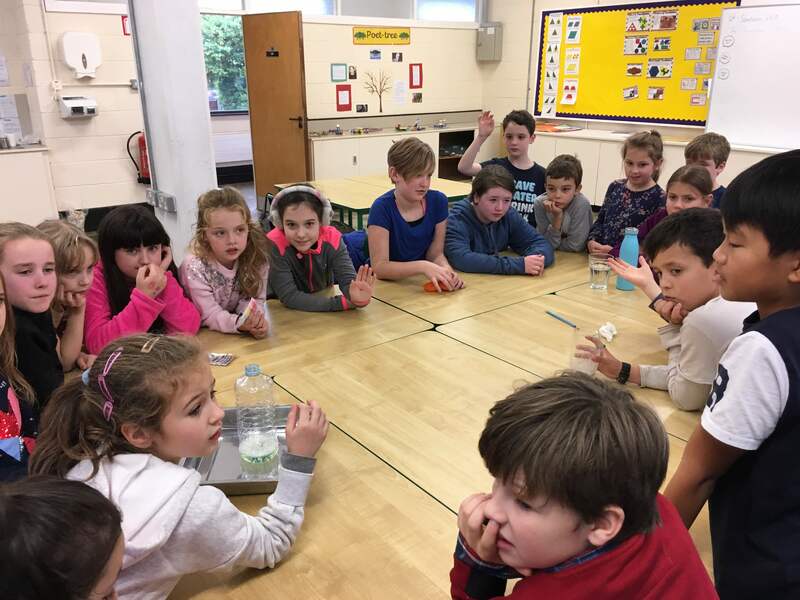 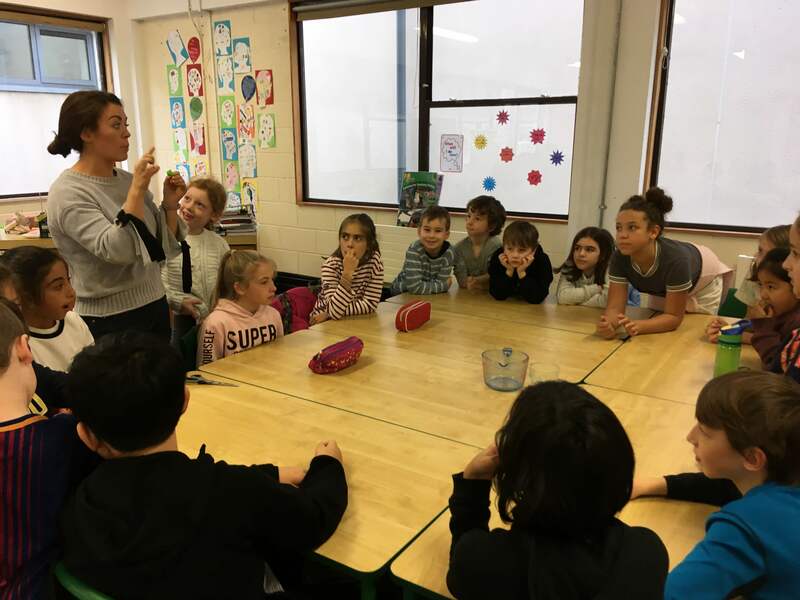 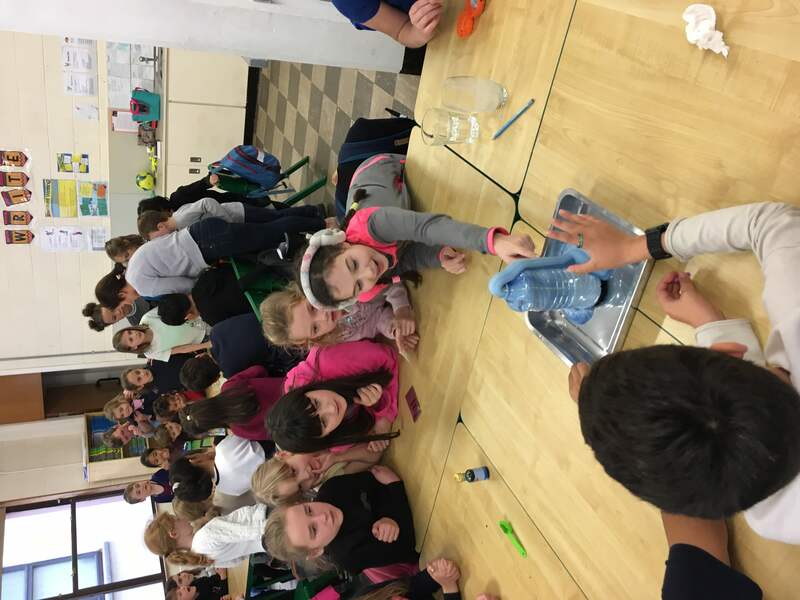 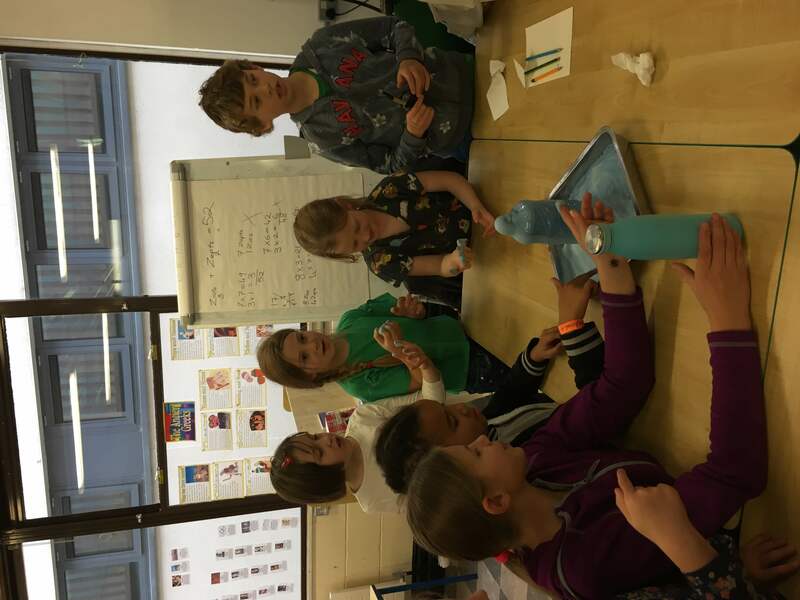 Later we were invited by Lucy’s 5th Class to see a science demonstration, called “Elephants Toothpaste”! 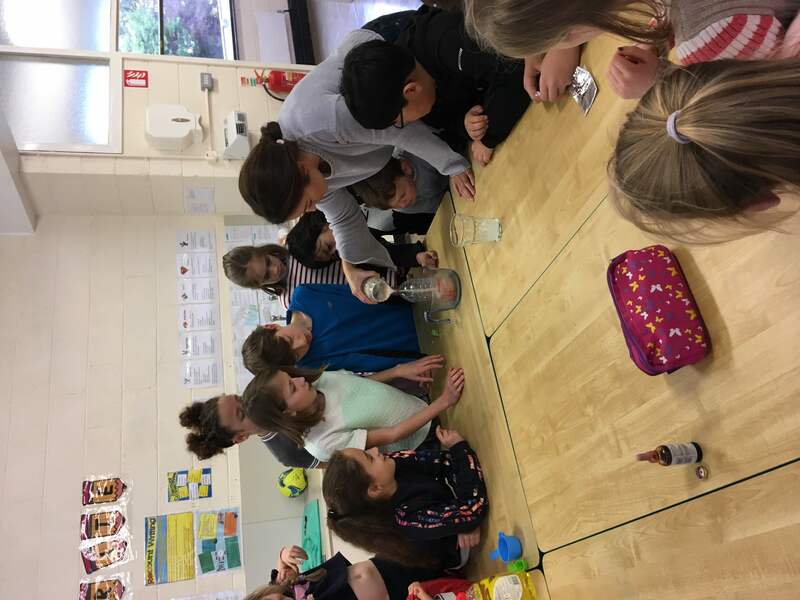 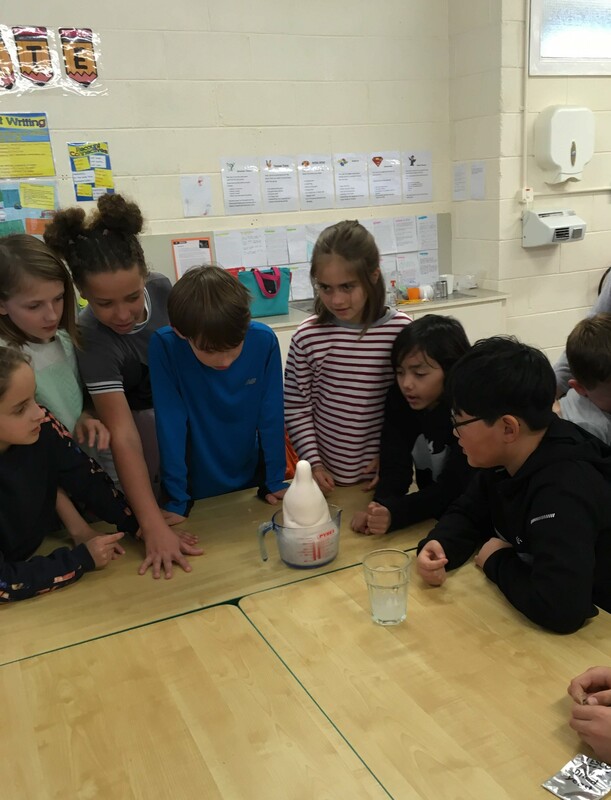 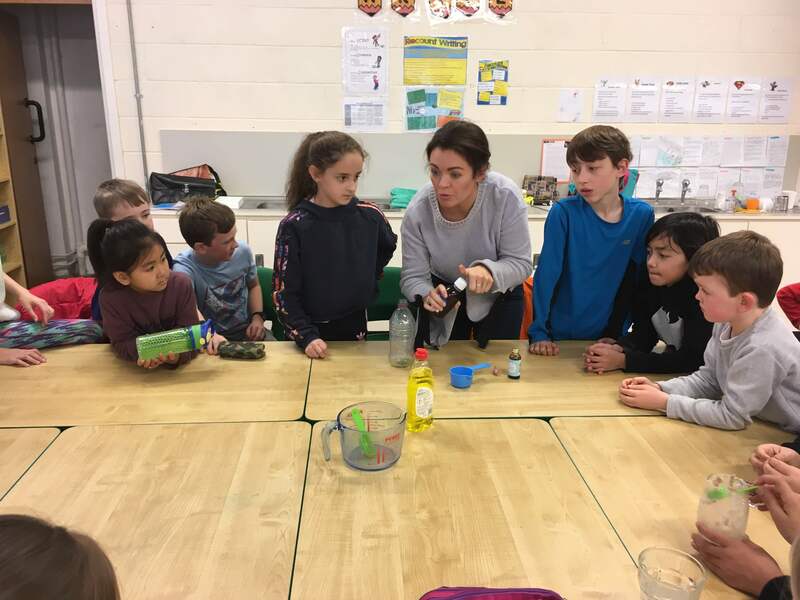 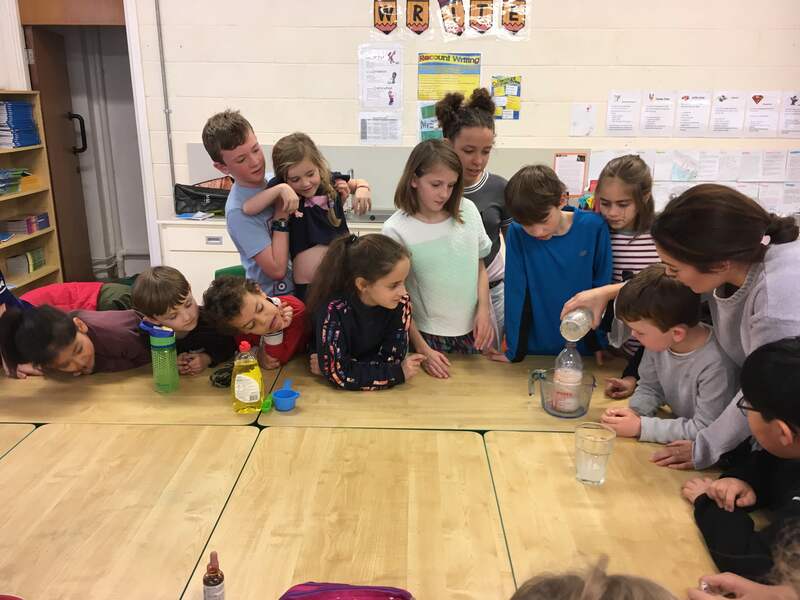 5th Class students showed us that when you mix yeast, water, washing up liquid, food dye and hydrogen peroxide, they create a chemical reaction, that really does look like a giant toothpaste tube being squeezed out! 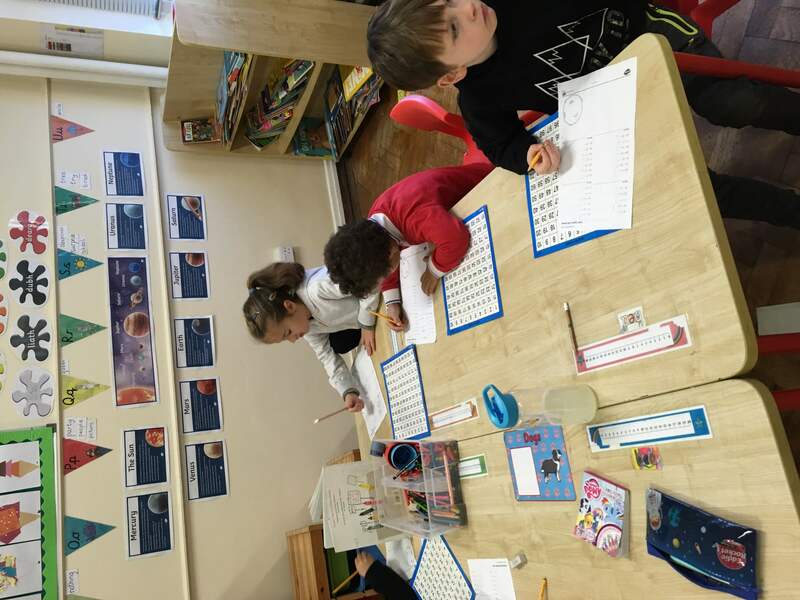 After that we went back to our own class and created some art work to represent the solar system. 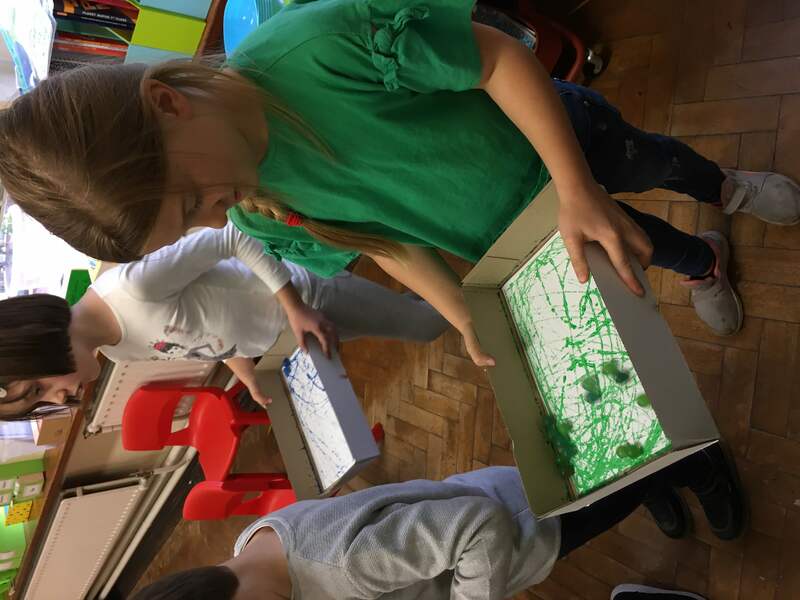 The children used marbles to create an interesting effect on their planets. 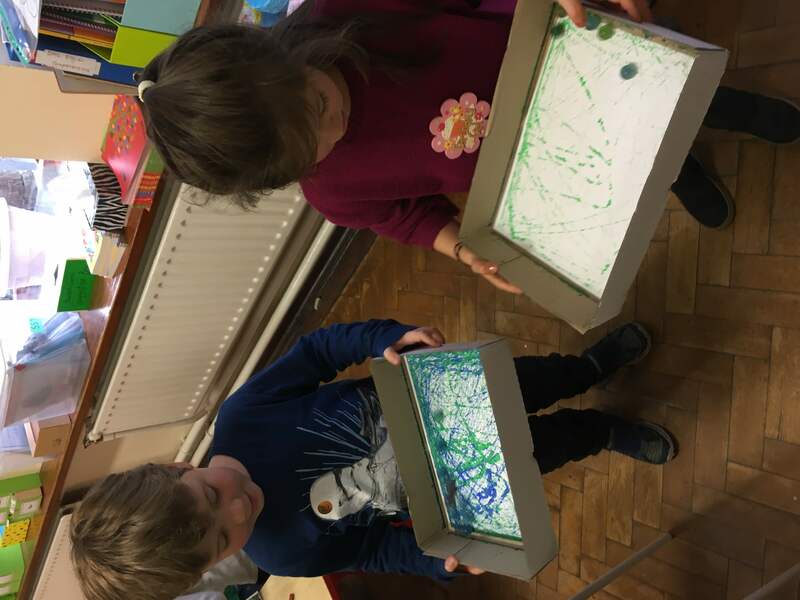 I will share some photos of the finished work later, as they are not quite completed yet! 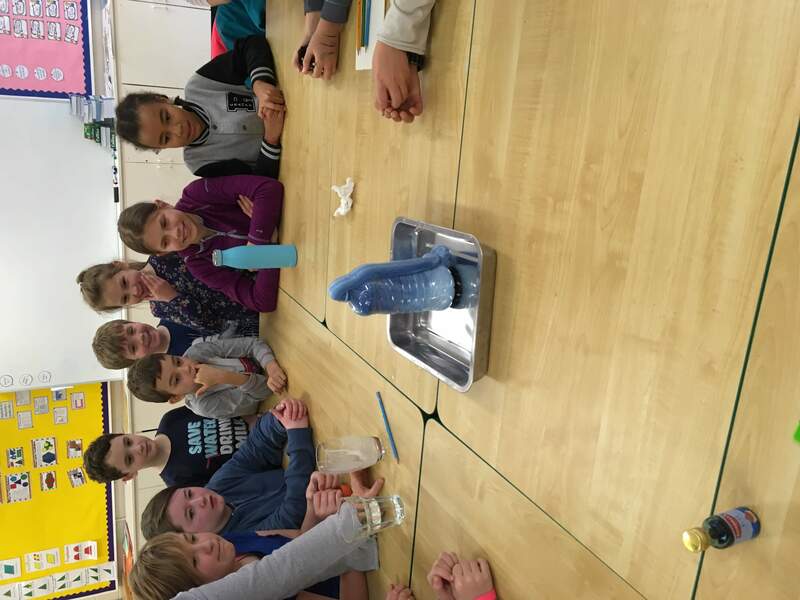 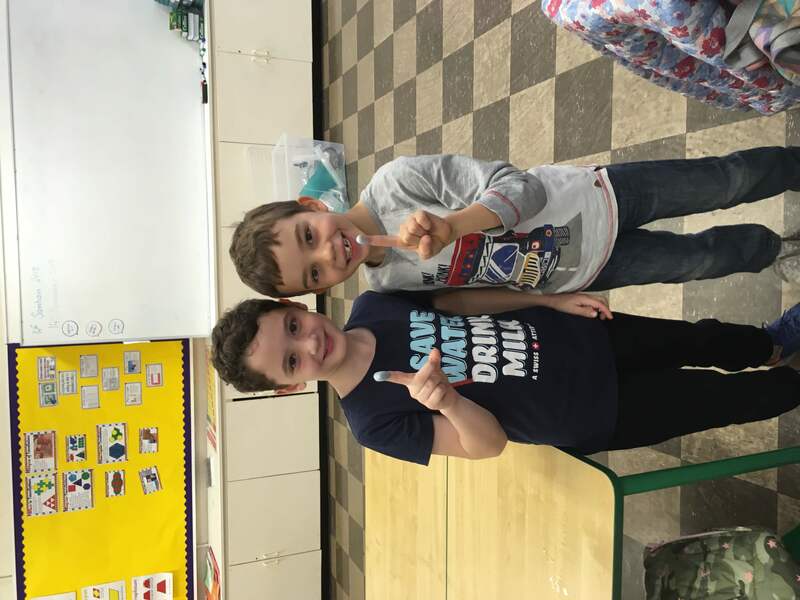 A super day of science!